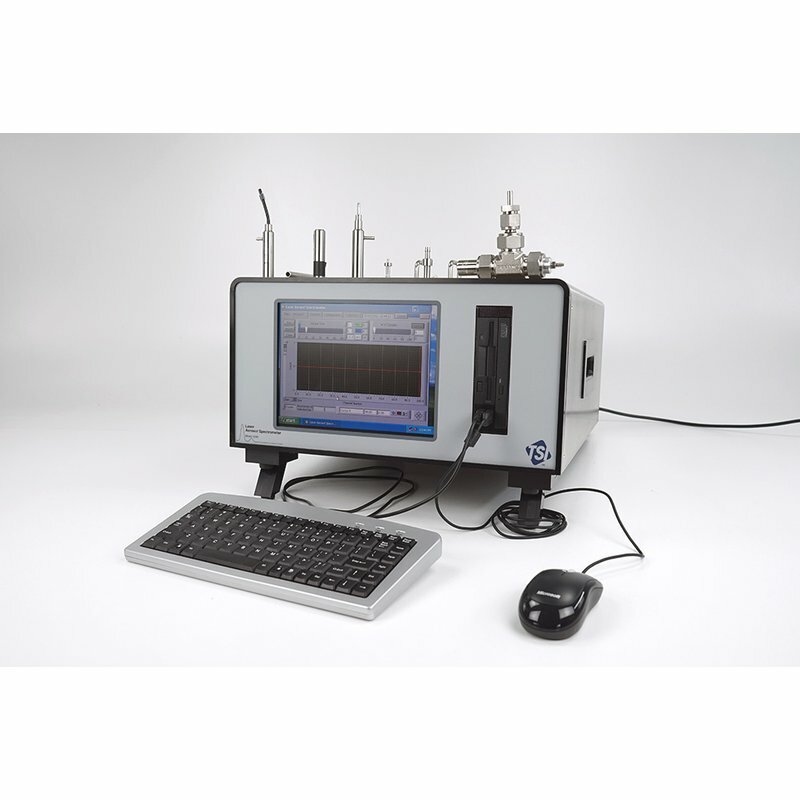 TSI?s Laser Aerosol Spectrometer Model 3340 is a general purpose aerosol particle sizer which combines ultra-high sensitivity and superior resolution with ease-of-use. 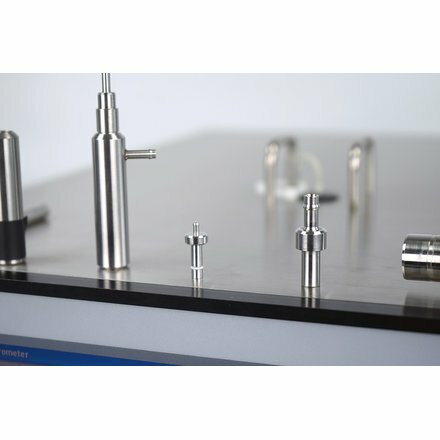 This high performance workhorse measures complete size distributions in a tenth of a second over a size range of 0.09 to 7.5 µm easily and accurately. 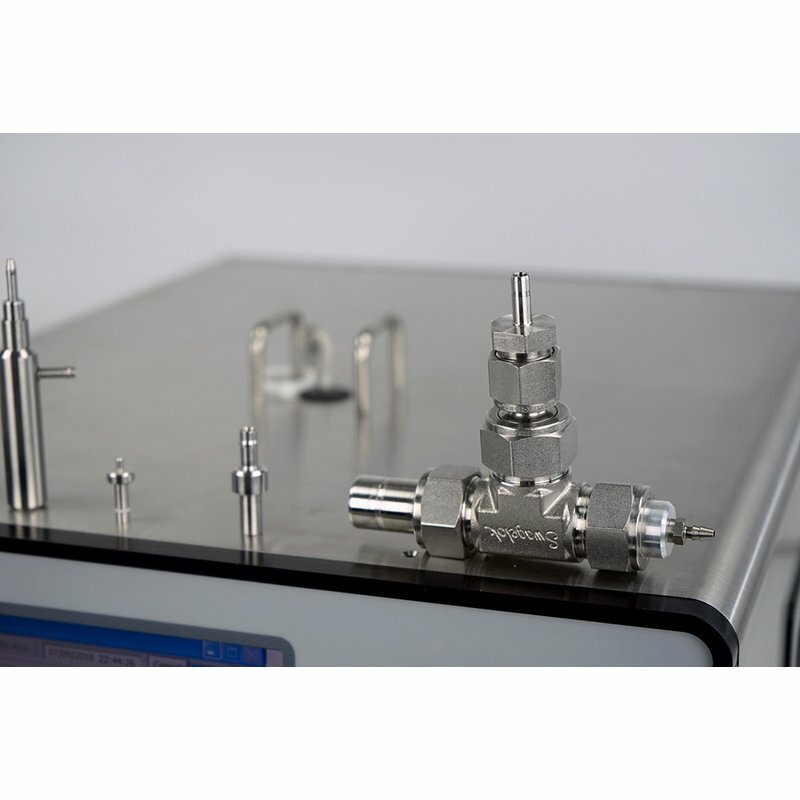 Configurable size channels enable users to zero in on a specific size range or match the resolution of another instrument. The 3340 is a handy tool to have monitoring your filters or your processes, measuring in the lab, or sampling on field campaigns. It?s as useful as your primary aerosol tool, but the 3340 can also provide valuable supplemental information to aerosol measurements based on other sizing techniques (i.e. SMPS, APS, CPC, FMPS, etc). The Laser Aerosol Spectrometer features an internal Windows® based PC loaded with Microsoft Office®. No need to procure and dedicate a laptop to operate your instrument. 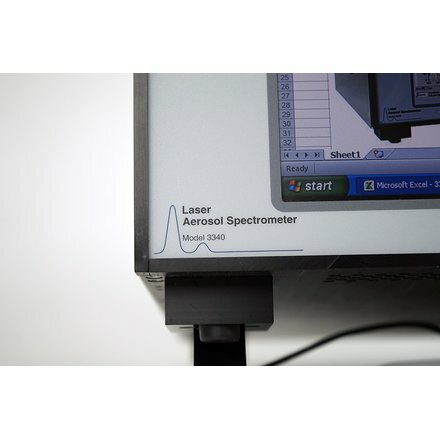 The Laser Aerosol Spectrometer uses the intensity of light scattered from a laser to measure the particle size. - Wide Angle Light Scattering: The wide angle light scatter collection resolves the Mie Scatter sizing issues associated with less sophisticated optical instruments. 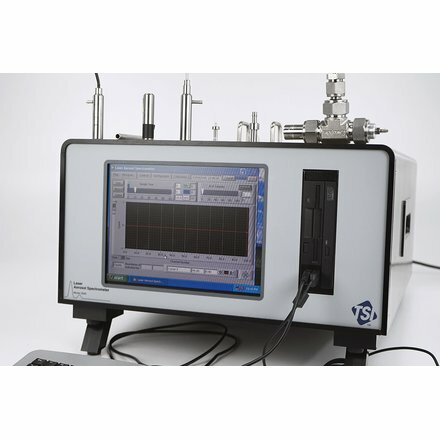 The instrument features a monotonic response with respect to light scattered intensity which allows the instrument to achieve precise resolution. - IntraCavity Laser: The model 3340 uses a He-Ne laser with a novel intracavity laser design to achieve higher light scattering sensitivity at a lower laser power. You get a >1W laser at a 5mW price! This enables the Laser Aerosol Spectrometer to measure >50% of particles at 0.09 µm while at the same time boasting excellent laser lifetimes. - Patented Optical Design: The patented optical design also prevents laser degradation issues due to contamination by using 1) parallel transmission surfaces, 2) a recessed intracavity optical surface, 3) carefully designed components to focus the in the viewing volume and 4) a sheathe flow scheme. The model 3340 is calibrated with NIST traceable Polystyrene Latex (PSL) Spheres. PSL is the industry wide calibration aerosol of choice because it has properties close to many real world aerosols and is traceable to national standards throughout the world. - Custom Calibration Option: If users would like to calibrate the model 3340 to a specific aerosol, a custom calibration can easily be performed. 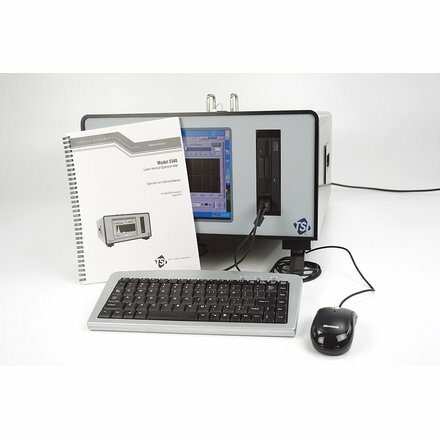 The calibration screen in the software allows users to quickly generate calibration data and automatically calculate the custom calibration curve. 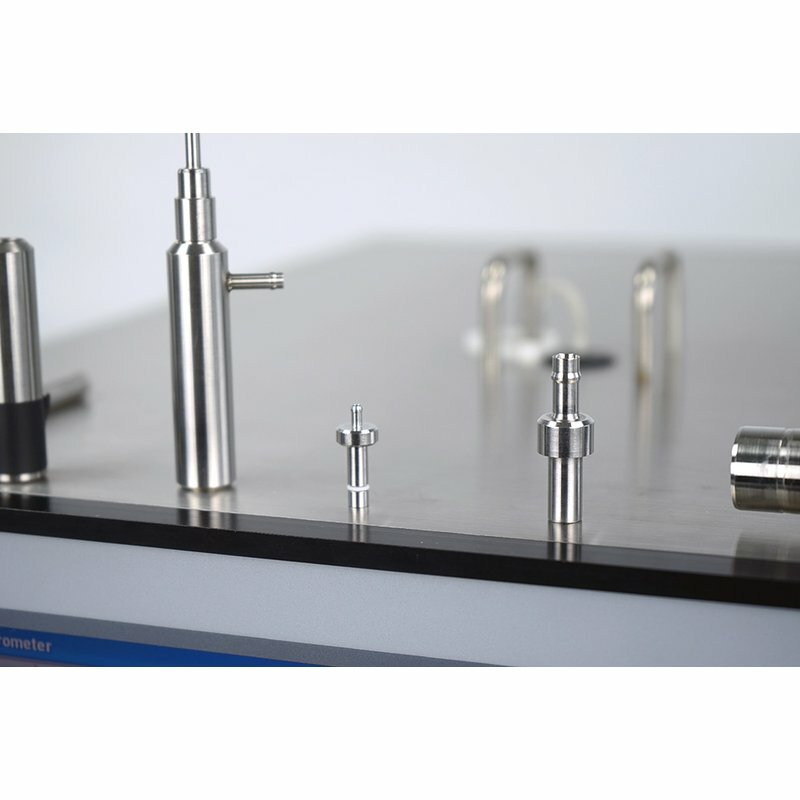 - Filter Testing: The high resolution, wide concentration range, low end size detection limit and fast measurement time make the 3340 ideally suited for filter testing applications. - Indoor Air Quality: As a stand alone instrument, the Laser Aerosol Spectrometer provides highly resolved particle size information over a wide concentration range. 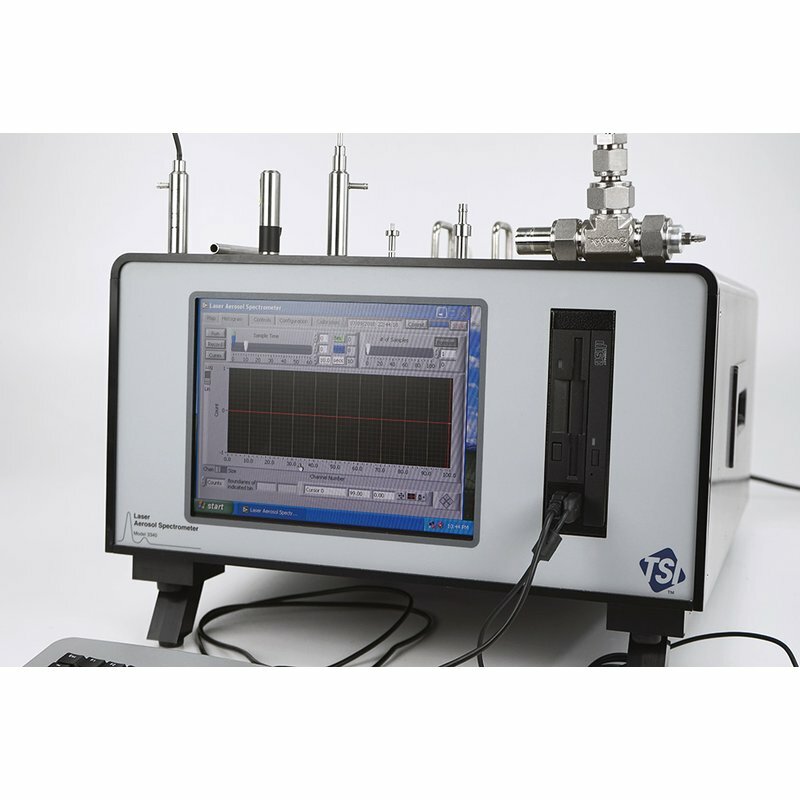 Pair the 3340 with a CPC, and you can measure the nanometer size fraction (<100 nm) easily and in real-time. - Atmospheric Research & Environmental Monitoring: The size range, measurement time, and lack of radioactive sources or working fluids make this a very useful instrument to fly in aircraft or to transfer from environmental sampling point to environmental sampling point. - Inhalation Toxicology & Exposure Monitoring: Ease of use, fast measurement time and accuracy when measuring aerosols of a known composition make this a frequent application for the model 3340. - 18,000 particles/cm3 at 10 cm3/min. - 3,600 particles/cm3 at 50 cm3/min. - 1,800 particles/cm3 at 95 cm3/min. 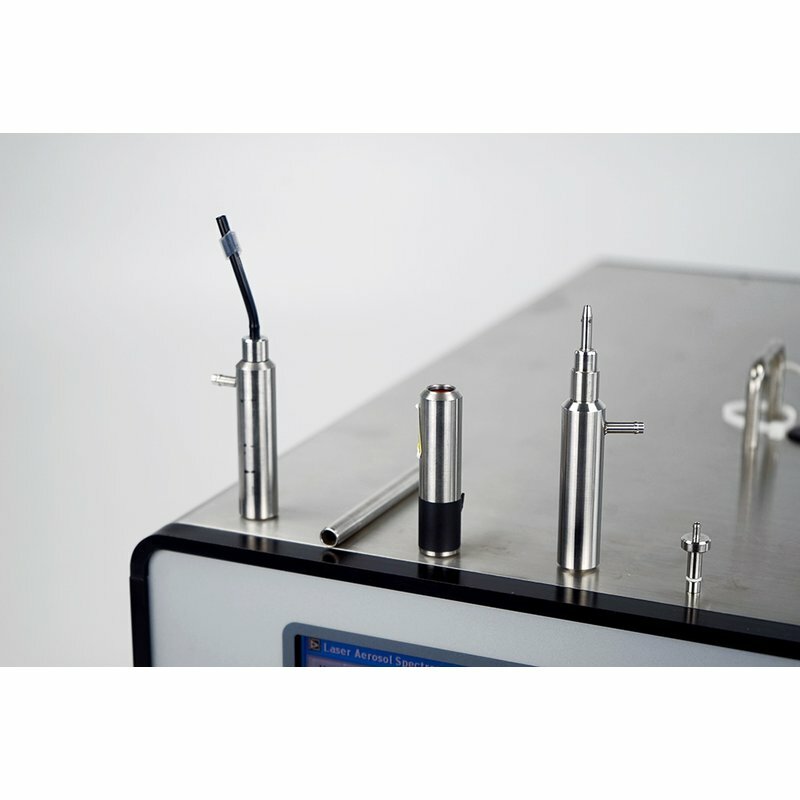 - Atmospheric Pressure: Correction Sample flow automatically corrected by internal flow controller. Aerosol Medium: Designed for use with air. Do NOT use with pressurized, explosive, corrosive, toxic, or other hazardous gases. This unit is in excellent cosmetic condition. It is 100 % functional tested and ready to be applied.